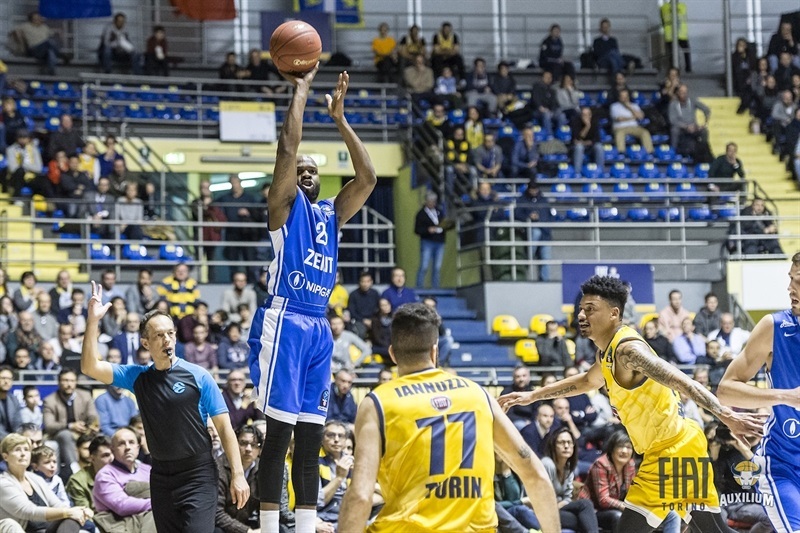 In a clash that determined the last team for the 7DAYS EuroCup Quarterfinals, Zenit St. Petersburg rallied from a 14-point deficit on the road to defeat Fiat Turin 73-87 on Wednesday night. Zenit finished the Top 16 with a 4-2 record to claim second place in Group F and will face Grissin Bon Reggio Emilia in the quarterfinals. 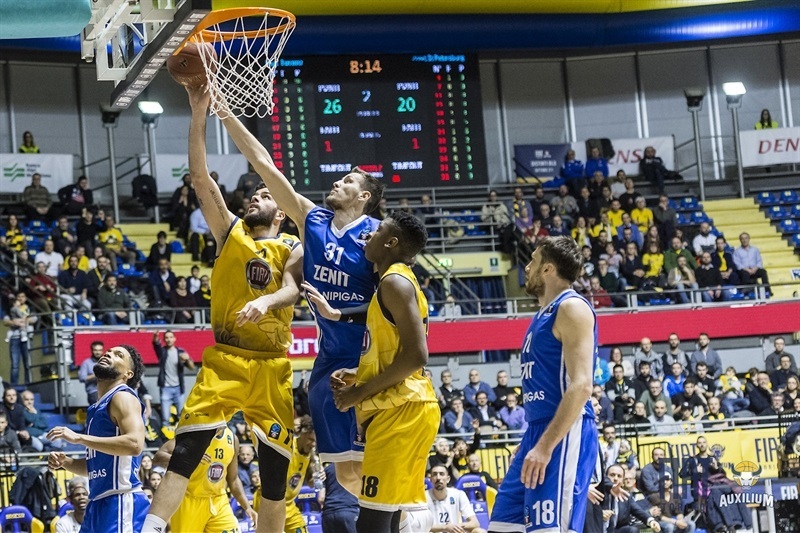 Fiat, which needed to win by more than 11 points to move to the quarterfinals, ended its first-ever EuroCup campaign with 2-4 Top 16 record. 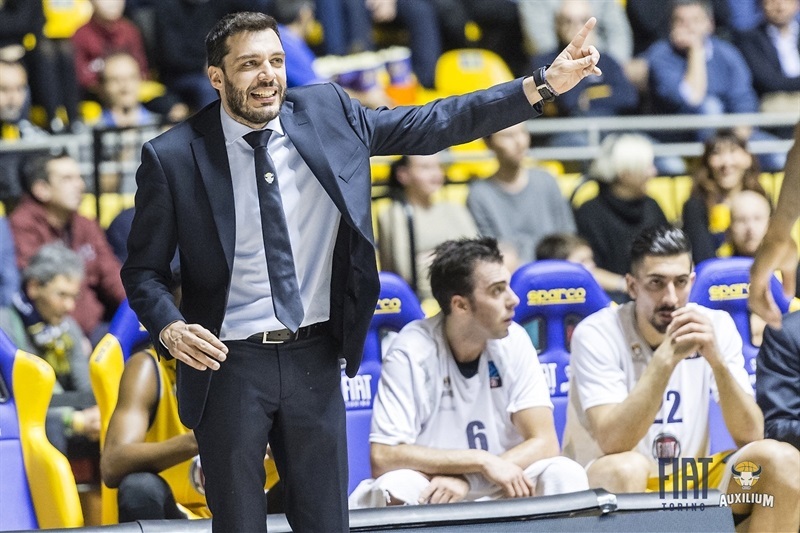 With new head coach Paolo Galbiati on the bench, Fiat had a great first half and led by as many as 45-31, but Zenit used 4-23 third-quarter charge to regain the lead and cruise to victory. Sergey Karasev led a balanced Zenit attack with 17 points, Marko Simonovic netted 14, Kyle Kuric had 13, and Evgeny Voronov scored 12 in victory. 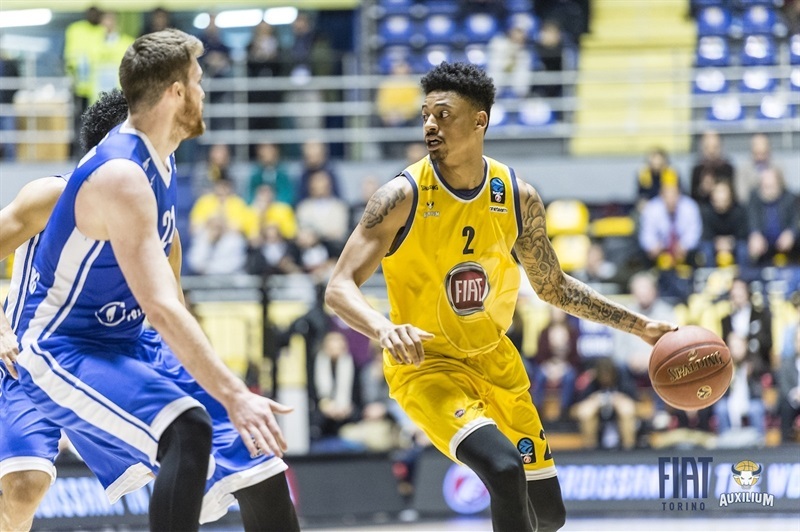 Diante Garrett led the hosts with 21 points, Lamar Patterson added 17 points, and Deron Washington contributed 13 points, 5 rebounds and 4 assists in Fiat’s last EuroCup game of the season. Voronov opened the game with a pair of baskets, and Simonovic knocked down a three-pointer as the visitors grabbed an early 5-point lead. 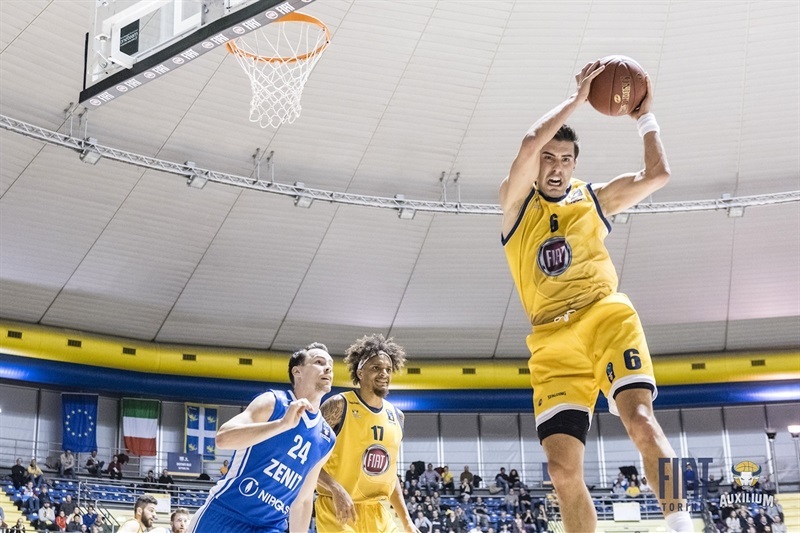 The hosts missed on eight of their first nine possessions, but Garrett got hot with 10 points, including back-to-back three-pointers, that put Fiat in front 15-14. Washington added 6 more points before the end of the quarter, including a pair of dunks, in helping the hosts to a 22-18 lead after 10 minutes. Antonio Iannuzzi and Washington combined to score 10 points early in the second quarter, thus increasing the advantage to 36-24, marking the first time the margin surpassed the magic line of 11 points. 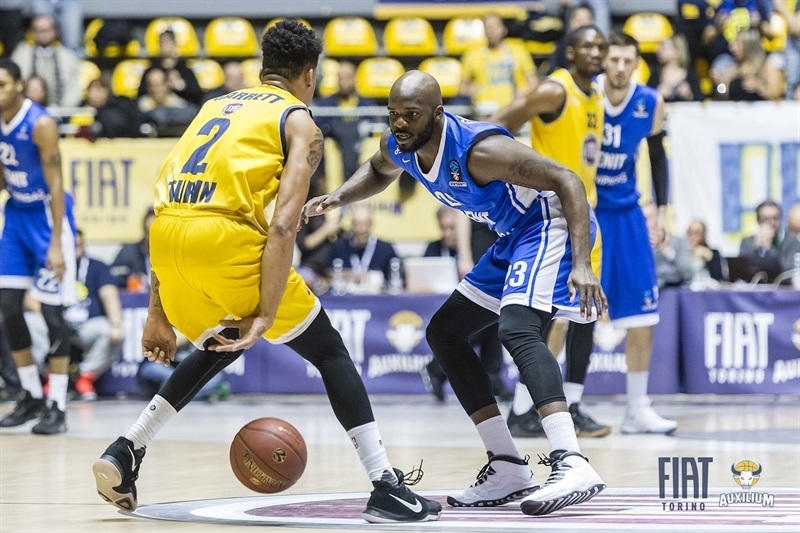 Zenit struggled offensively, getting most of its points from close range or the foul line. A big baseline dunk from Demonte Harper helped cut the deficit to 8, but Garrett had consecutive baskets and Sasha Vujacic hit a long jumper to open a 45-31 margin, before Kuric’s last second three-pointer conveniently set the halftime margin at 11 points, 47-36. With triples from Karasev and Simonovic, Zenit needed only 87 seconds to close the gap to 47-44 at the start of the third quarter. Drew Gordon, who did not play in the first half, made the difference inside, pulling down rebounds and cutting the margin some more, before Karasev’s fastbreak dunk gave Zenit a 51-52 lead. It also sparked a 0-9 run that featured triples from Voronov and Karasev to make it 51-59. 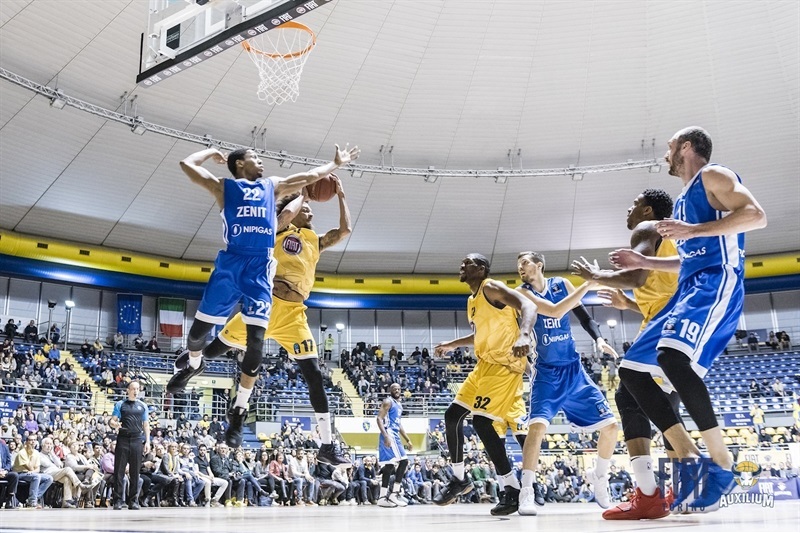 Iannuzzi ended the hosts’ drought and David Okeke had a long jumper, but Voronov answered with a three-pointer and the visitors went into the final quarter in front 56-65. 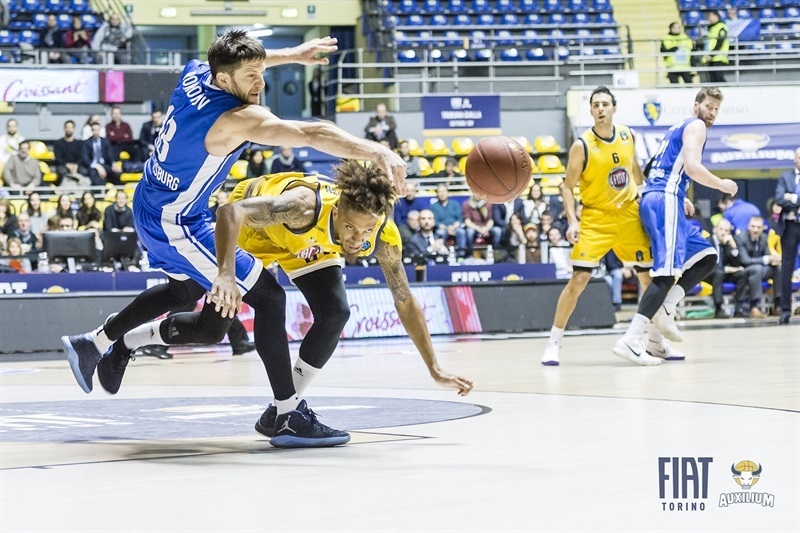 Garrett had a three-point play to open the fourth quarter for Fiat, but back-to-back threes from Karasev and Kuric opened a 59-73 lead, giving Zenit a 25-point tiebreaker margin. 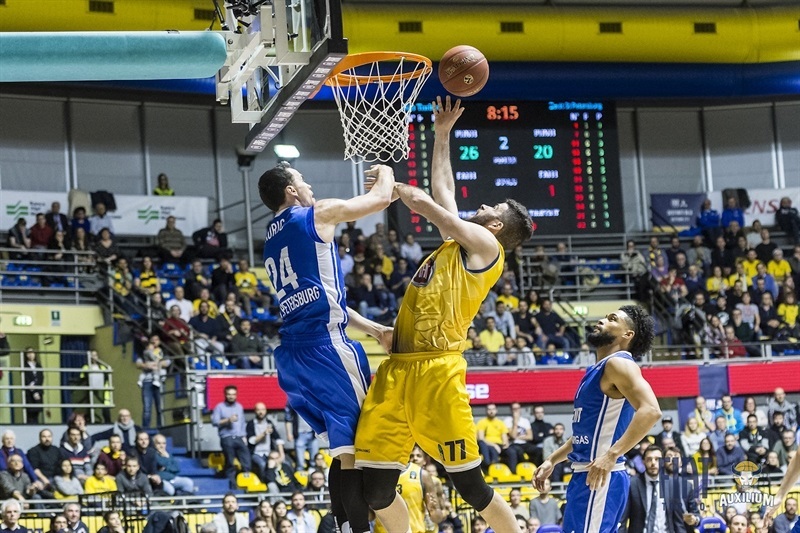 Valerio Mazzola’s triple sparked a 10-2 run that gave the hosts some hope, but with the quarterfinals berth out of hands, all Fiat could try was to grab the win for the night. However, Zenit kept control and cruised the rest of the way. "I am so sad for the result of the game because we were preparing this season since July 18. 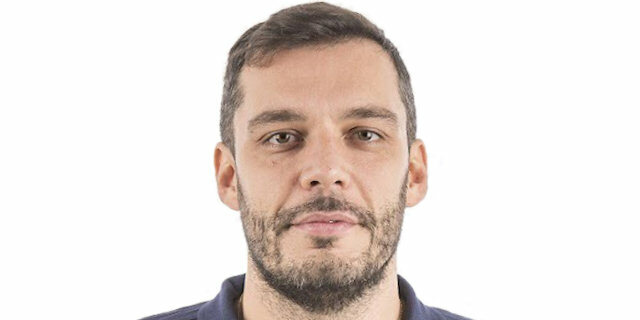 We talked in the locker room, remembering when we drew Darussafaka, Levallois, UNICS, Cedevita and Andorra in the regular season, we thought it was impossible to go through. But we overcame it and we were in a terrific Top 16 group. And we arrived to the last 20 minutes of the Top 16 group with a chance to go through. The club is currently in a terrible moment, as you know, but we tried our best. We are sorry our EuroCup season came to an end, but we still have domestic competitions to play, Italian League and Italian Cup. 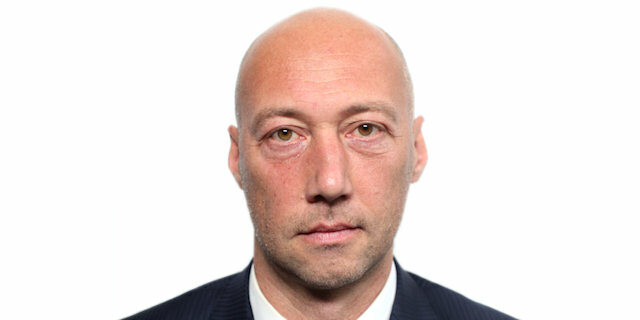 This coaching staff together will surely try to put the team in the best position possible, and I am sure players will give 100 percent to meet the goals." " The key was our defense in the third quarter, Fiat scored just 9 points. When Drew Gordon came onto the court, he grabbed rebounds and we could play our game, fast game with three-point shots. In the fourth quarter, we kept the game in check. We do not know too much about Reggio Emilia, but we will have time to prepare for them. But they were first in their group, and they beat UNICS Kazan twice, and UNICS is playing very well in our championship." "I am happy that the team got a good win today. We needed to close this out in order to advance. I am glad we were able to dig deep, and come back from a not-so-great first half. We don’t go into any game expecting to lose, that’s not the mentality we want have as a team. Every game we want to approach as we are going in there trying to win."